Since starting up Terrapin Books, my new small press for poetry books, I've been giving scant attention to my own poetry. The bulk of my time has been spent learning how to make the books happen, i.e., how to obtain the manuscripts, how to format a book, how to make a book cover—and a score of other tasks. 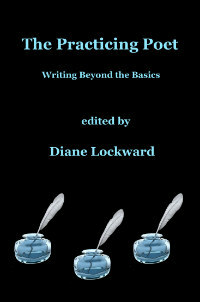 But I've got the basics covered now, our first four books have been published and two more are underway, the original The Crafty Poet has been published in a revised edition by Terrapin, and the new The Crafty Poet II is out in the world. So I find myself with some free time! Time for poetry. 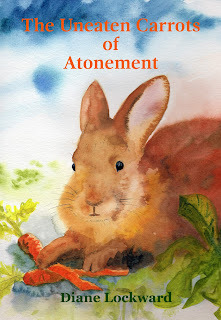 First an update on my own still new poetry collection, The Uneaten Carrots of Atonement. I've had several nice reviews to boast about. 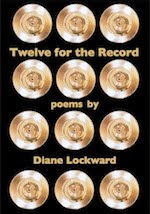 by Grace Cavalieri, includes the poem "Your Blue Shirt"
I was also interviewed about the book, about how it fits in with my earlier books, what my intentions were, and some craft issues. In September I drove up to Manchester, New Hampshire, to participate in The New Hampshire Poetry Festival organized by Jennifer Militello. I'd sent in a proposal to give a presentation about Terrapin Books, a kind of behind-the-scenes look at what's involved in beginning a new small press. The presentation was called "Terrapin Books: From Seed to First Fruit." The culmination was a group reading with poets from The Doll Collection, Terrapin's first publication, an anthology, the first-ever to focus on dolls. I had a great time! In October I participated in the Geraldine R. Dodge Poetry Festival in Newark, NJ. As a Dodge poet, I worked there on Thursday and Friday, hosting a few events. That's a great opportunity to hear some poets and do a bit of service for the poetry community. Friday was the most populated day as it was Student Day. Look at all these teenagers! That's inside the Performing Arts Center. If the weather had been more cooperative, many of these kids would have been outside enjoying the food court, walking around, and sharing poetry. But trust me, they had a great time! The highlight of the festival for me was reading on Saturday. I read in the beautiful Trinity & St Philips Cathedral, one of several festival locations. My co-readers were Robin Becker, Marty McConnell, Christian Campbell, and Aaron Smith. I last read at the 2006 festival, a whole decade ago. That time the venue was the Waterloo Village in Stanhope, NJ, a rural setting. I was also happy to see that I sold a boatload of books in the B&N bookstore at the festival. Sold a bunch of my poetry collections and completely sold out of The Crafty Poet and The Crafty Poet II. Here's a onesie I couldn't resist buying for my new granddaughter. Poet-in-training? Now, of course, it's also time to pick up the pen and get back to writing new poems. I'm happy to say at least that these past few weeks have seen the completion of two poems that I started long ago—one 3 years ago and one maybe a year ago. That feels very good. I need more.